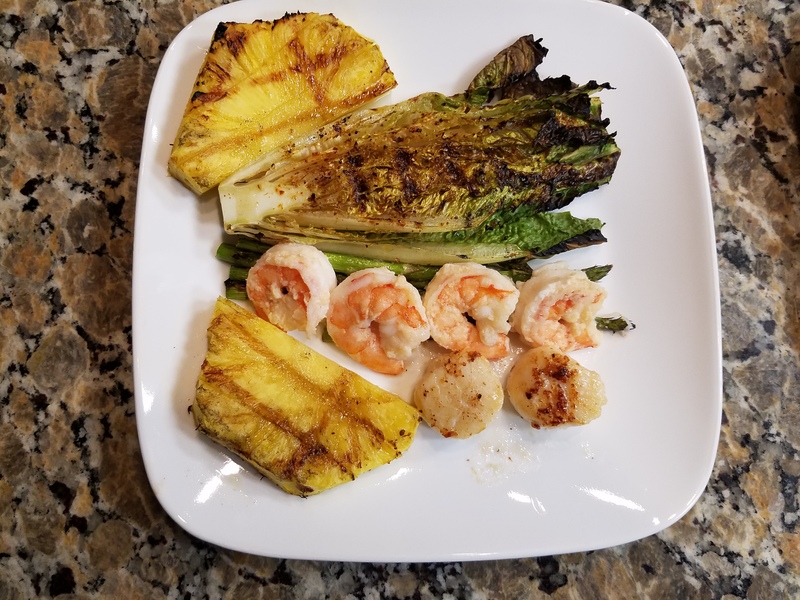 Grilling romaine doesn’t sound like much but the flavor that you can pull out if it is amazingly good. If you haven’t tried it before you’re in for a treat that is delicious. Not a lot of prep time for getting it ready to grill and it only takes a few minutes to get this part of the meal ready to serve. Matching this up with Seafood is alway a winner. That too cooks real fast. So timing is the key here. How to get the romaine ready for the grill is easy too. Trim both ends, cut of the browned root end and cut off the top 2 or 3 inches of the leafs. Cut the romaine in half, the long ways ( length). Brush a little bit of olive oil, not too to or you could end up burning it up. Add a little spice mix on top of the oiled side, not to much! Heat your grill to a nice medium heat. Time the rest of your meal and enjoy a nice easy dinner.